One of the nicest things about a garden is that it offers a small but meaningful habitat for wild creatures like birds. 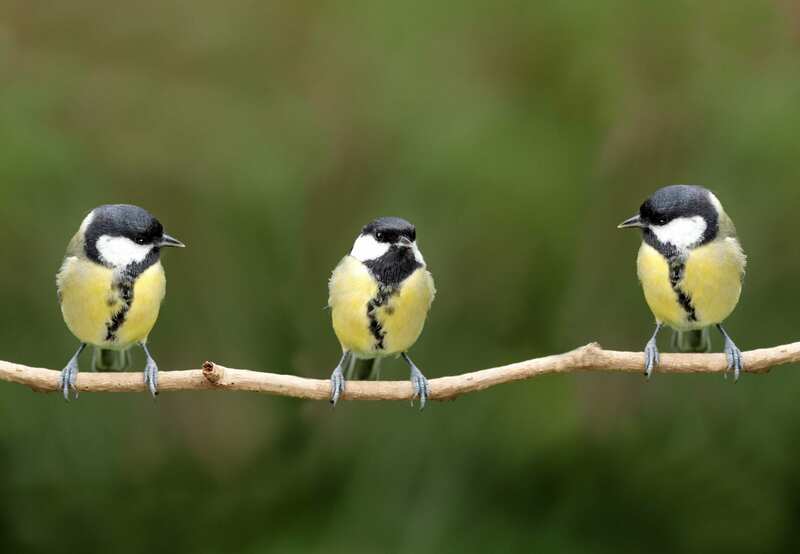 Attracting birds to your garden not only adds life, colour and song, but it helps defend against pests, as birds are happy to gobble up insects. Creating a bird-friendly garden will make your home more attractive and comfortable, so here’s how you get started. Trees are the high-rise apartments of the bird world. A tall, sturdy tree can provide safe shelter for many feathery families, as well as food in the form of seeds, and nest-building materials. Our post on Mediterranean trees is a good place to start if you’re looking for a native species that will thrive in your garden. Long grass offers shelter to birds and insects, which gives birds even more reason to visit. You don’t have to let your garden be completely ragged. Just choose a patch or two, perhaps in a shady corner, and let nature take its course. Flowers evolved their bright colours specifically to attract birds and insects for pollination. Increasing the variety and quantity of flowers in your garden will attract not just birds but also bees and butterflies, adding a happy buzz to your surroundings. Chemical pesticides don’t just kill insects, they have a harmful knock-on effect through the whole food chain, including birds. Instead of spraying toxic chemicals in your garden, use natural pesticides and rely on your feathered visitors to help keep the bugs down. Birds need water for drinking and bathing, just like humans. If you have the space and inclination, a small pond makes a lovely addition to the garden. If that is too complicated, or you don’t have the space, a simple bird bath is almost as good. Be sure to place it on a pedestal out of the reach of cats, though. Those of us who love both cats and birds have a dilemma, as most cats are enthusiastic, effective hunters. Unless your cat is an indoor pet, you will struggle to stop it killing birds. One thing you can do is get it a collar with a bell to warn birds. Another thing you can do is set up bird boxes which your cat can’t reach. Feral or neighbour cats will also hunt birds in your yard. In that case, your best bet is a protective dog. One of the best ways to secure long-term bird buddies is to feed them. If they can count on you for basic needs they will be motivated to stay in your yard, raise their families, and attack your pests. Don’t toss breadcrumbs, though. Bread doesn’t offer adequate nutrition and it swells in their stomach. Buy birdseed, or use a mix of seeds, chopped nuts, and grains, such as porridge oat. Be sure to hang bird feeders out of reach of cats. What’s your best bird-friendly gardening idea? Share in the comments.